Brazil’s premier stock and derivatives exchange, BM&FBovespa, and Chi-X Global have completed the formal acceptance of Chi-FX the new trading platform which will allow overseas investors to trade in Brazilian financial instruments without having currency risk. The new platform called Brazil Easy Investing (BEI) is powered by Chi-FX technology. 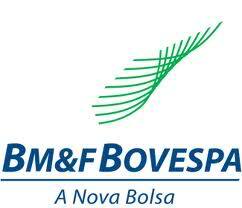 According to data on the BM&FBovespa website, foreign investors account for 42% of total market share in the Brazilian markets. BEI will allow both retail and institutional investors trading outside LATAM’s most populous nation to trade in financial instruments denominated in their local currency, thus avoiding exposure in the real. Brazil’s financial markets are set for major changes, the acceptance of Chi-X and the recent launch of ATS signify crucial reforms in the country, the monopoly held by BM&FBovespa is set to be challenged. The average daily trading volume in Brazilian equities in May was $3.53 billion. The Brazilian real, like other emerging market currencies has been suffering against the greenback. Earlier this month the real slid to a four year low, the government re-acted by lifting the foreign exchange derivatives tax of 1% in an attempt to balance the flow of dollars entering the nation.